Explore this beautiful house boating at Trinity Lake boat rentals and watercraft service company offering their rentals and boat charters at all Northern California’s favorite houseboating vacation spots. Also enjoy jet ski rentals, waverunners, boat tours, and houseboat rentals from our executive rental fleet. At Trinity Lake you get the best of mountain tree-lined shores to explore the countless secluded coves, beaches, perfect for experiencing your own water sport vacation at Trinity Lake. 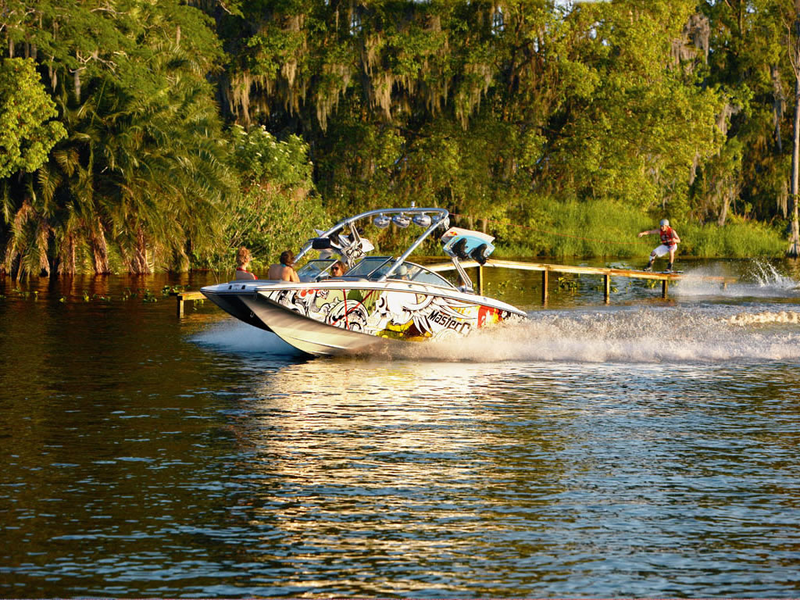 Trinity has a nice water sport opportunities for all ages. Fishermen have world class trout and bass located in the lake. 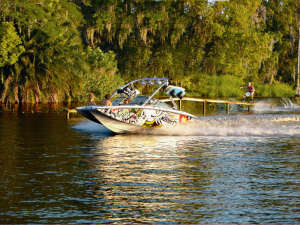 Enjoy miles of smooth blue water perfect for wakesurfing, wakeboarding, skiing, wakefoil, boating, camping, and swimming. Accommodations range from lakeside cabin rentals, nearby RV parks, hotels nearby, and campgrounds; with nearly 145 miles of shoreline for camping and enjoying a private tour boat. Lake Trinity has three marinas, Trinity Alps Marina located on the southern end in view of the Dam; Cedar Stock marina on the Stuart Fork arm on the west end of the lake; and Trinity Center marina at the northern end of the main arm of the lake. Premier rental services all these marina with our watercraft, waverunner, and ski boat rentals. Most of the marinas rent houseboats to vacationers year round which we can help you set up your perfect trip.